The King County Flood Control District has approved $929,807 to fund watershed restoration and protection projects in the Snoqualmie & South Fork Skykomish Watersheds in the 2019 grant round. The Snoqualmie Watershed Forum runs the project selection process for the 2019 Cooperative Watershed Management (CWM) Grant Program and will recommend projects to the Flood District for funding. Do you have a habitat restoration or protection project in mind? Need funding? The Snoqualmie Watershed Forum may be able to help. The 2019 CWM grant round is open January 17 – April 11, 2019. A pre-application is required and due February 11, 2019 (Extended to February 19, 2019). Please send the pre-application materials to Beth leDoux. and feasibility studies and monitoring. Among the highest funding priorities will be those projects or programs that promote chinook and bull trout recovery as outlined in the Snohomish River Basin Salmon Conservation Plan, including the 2015 Snohomish Basin Protection Plan and the 2017 Snohomish Basin Climate Change report. In addition, actions that benefit steelhead trout and other salmonids are important as well as water quality improvements consistent with the Forum’s Snoqualmie Watershed Water Quality Synthesis Report. For more information, please contact Beth leDoux, Snoqualmie Watershed Technical Coordinator at 206-477-4750. King County launched the 1 Million Trees initiative following the County’s adoption of its Strategic Climate Action Plan in 2015. The goal is to plant 1 million trees by 2020 as a way to support carbon sequestration and healthy forests, streams, and neighborhoods. To support the initiative for planting large numbers of trees by the end of 2020, each WRIA in King County will have $175,000 available to support tree planting. These grants are being solicited alongside CWM grants, with CWM being a great source of matching funds for project elements not covered by the 1 Million Trees grant funds. Eligible Activities: Funds must go toward the cost of trees or tree planting labor (consult the eligible plant list linked below for eligible trees). Site preparation, project management/grant administration, and other activities are not eligible for these funds. All funds must be expended by December 31, 2020. There is a preference for projects located in urban areas, although that is not required. The 1 Million Trees grants can be used for planting projects in upland areas, but preference will be given to riparian proposals. 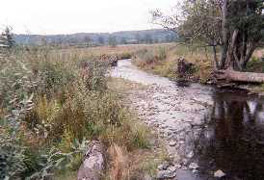 A direct connection to Chinook salmon streams - required for CWM - is not required for these funds. Eligible Applicants: Non-profit organizations, local governments, tribes, and special purpose districts are eligible to apply. Available Funding: $175,000 is available for planting projects within WRIA 7. There is a minimum grant award of $25,000; no maximum. Matching funds or leverage is not required. Application Period: The same timeline used for CWM grants applies. Proposals are due on April 11, 2019. A notice of intent should be submitted by February 11, 2019 (Extended to February 19, 2019). Complete the notice of intent form linked below and submit it via email to Beth leDoux. Application Process: Project sponsors are to submit a completed 1 Million Trees application form by the April 11 application deadline. The WRIA 7 Project Subcommittee will evaluate proposals and make recommendations for funding to King County. 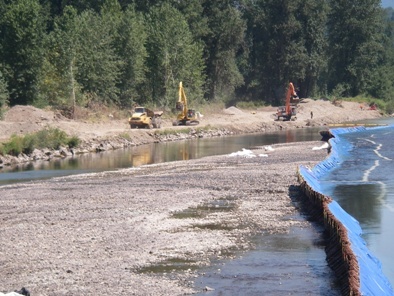 Chinook Bend Levee Removal: In 2011, King County completed the Chinook Bend Levee Removal Project removing approximately 2000 feet of revetment along the Snoqualmie River. The donated agriculture land will now become restored floodplain and off-channel habitat critical for threatened Chinook salmon and other salmonid species. Funding for the project was provided by the King Conservation District, Salmon Recovery Funding Board, Aquatic Lands Enhancement Account, and King County Water and Land Resources Division. 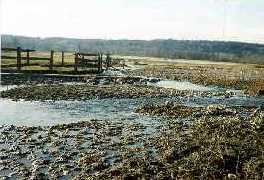 BEFORE: Eroded stream banks caused flooding and water quality problems. AFTER: A 400 foot bank was reconstructed and more than 8,000 native plants were planted to restore this reach.